Location: An isolated glacial lake in the east of the highlands of Dorthonion, south of Ladros, where Barahir and his outlaw band hid. Dorthonion, showing Tarn Aeluin south of Ladros. 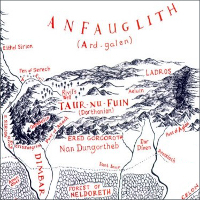 Now the forest of Dorthonion rose southward into mountainous moors; and in the east of those highlands there lay a lake, Tarn Aeluin, with wild heaths about it, and all that land was pathless and untamed, for even in the days of the Long Peace none had dwelt there. But the waters of Tarn Aeluin were held in reverence, for they were clear and blue by day and by night were a mirror for the stars; and it was said that Melian herself had hallowed that water in the days of old. 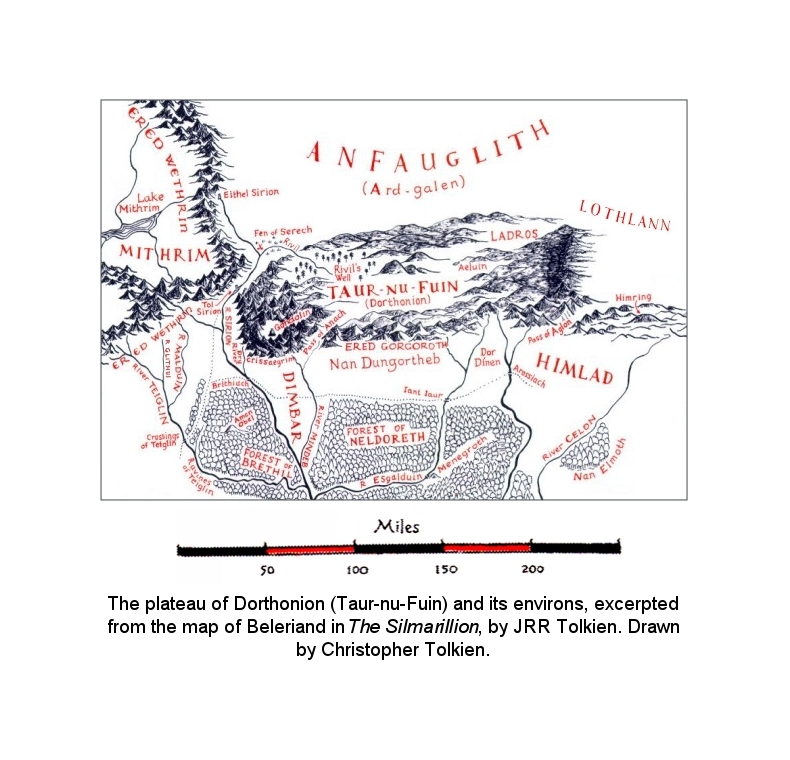 Thither Barahir and his outlaws withdrew, and there made their lair, and Morgoth could not discover it.